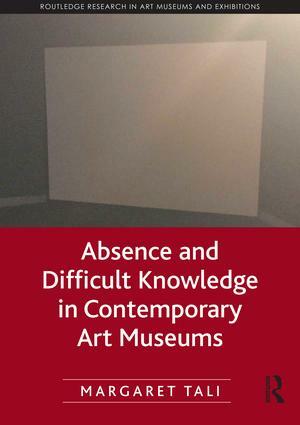 This book analyzes practices of collecting in European art museums from 1989 to the present, arguing that museums actualize absence both consciously and unconsciously, while misrepresentation is an outcome of the absent perspectives and voices of minority community members which are rarely considered in relation to contemporary art. Difficult knowledge is proposed as a way of dealing with absence productively. Drawing on social art history, museology, postcolonial theory, and memory studies, Margaret Tali analyzes the collections of four modern and contemporary art museums across Europe: the Hamburger Bahnhof in Berlin, the Ludwig Museum of Contemporary Art in Budapest, the Kiasma Museum in Helsinki, and the Kumu Museum in Tallinn. Margaret Tali is Lecturer in Visual Art and Culture at Maastricht University.